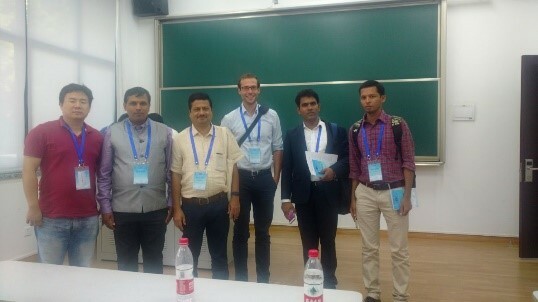 Asian Population Association (APA), the largest population and demography association in Asia drawing expertise from all over the globe and linkage with other professional associations has organized 4th Asian Population Association (APA) Conference from July 11-14, 2018 at Shanghai University in partnership with the Asian Demographic Research Institute (ADRI), Shanghai University, China. 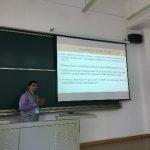 The conference had received 1,830 abstracts from more than 45 countries in around 30 diversified thematic areas widely covering the fields of fertility, mortality, nutrition, marriage, aging, sexuality, reproductive health, environment, climate vulnerability, education, migration, and labor force. Following the double-blinded peer review process the organizing committee was happy to select CARE India-TARINA’s work titled “Cropping Cycle, Food Insecurity and Nutrition Status among Small Holder Farmers: An Evidences of Tribal Dominated Region of India”, for oral presentation under the theme: Population, Economics, Environment, Climate Change and Sustainable Development. More than 600 delegates showcased their research and action work in the said conference where Mr. Arabinda Acharya, KMLE and Mr. Anup Das, Deputy Director-TARINA (first and second author for the action research paper) highlighted CISSD- TARINA’s work through the presentation, plenary discussions and networking meetings with participants from several countries. This was a global forum and a prestigious conclave where TARINA project and CISSD as a leading development organization was widely represented before an international audience through sharing of the research findings. This was a unique opportunity for showcasing our experiences and insights into the food systems-based approach to combat malnutrition which is a buzzword now. TARINA is an action research project where nutrition outcomes at small-holder farmers level are targeted through access and availability of nutrition dense food products by means of production, consumption and income pathways. Various nutrition-sensitive models through pilot testing are envisaged in this project and the principal donor- BMGF and Tata Cornell Initiative for Agriculture & Nutrition (TCI) also aim to project the evidence generated through pilot testing of on-ground models for a policy discourse through various national and international symposium and colloquium and with both research and practitioner community. Key Findings of the Study: Due to diverse agro-climatic conditions in Odisha, a varied number of crops are produced with a larger share of cereal concentration in few districts. The share of pulses production to total production in Odisha is also low in comparison to cereal production although a considerable proportion of GCA (Gross Cropped Area) has been used for pulses production. The study also highlighted that the daily intake of all food groups except green leafy, other vegetables and other tuber crops in Odisha is lower than the Recommended Dietary Allowances (RAD). Using primary data, the study observed that, around 39% of sample households in the study area are in food insecure group (49.44% in Kalahandi and 22.57% in Kandhamal). More than four out of each ten (44%) HHs are facing food insecurity 5-6 months in a year (49% in Kalahandi and 29% in Kandhamal). There is a positive relationship between food security and HH owning land (size), a number of family members in the HHs and HH cultivable land and area-shares on major crops. Of course, water scarcity, productivity, rain-fed areas along with weather variability and HH access to social security safety network programs also play a crucial role to determine the HH food security. The study estimates that the prevalence of stunting (height- for- age) among study children under age five is 26.4% (16.9% in Kalahandi and 16.9% in Kandhamal), 21.8% underweight (21.8% in Kalahandi and 25.0% in Kandhamal) and 24.4% wasting (weight-for-height) (20.8% in Kalahandi and 24.0% in Kandhamal). Based on the above empirical pieces of evidence the study concludes that the changing cropping cycle and patterns resulting in the disappearance of heirloom/ traditional crops has led to households pulling more shocks towards food insecurity coupled with distinct weather variability affecting low productivity and limited attention towards protein based agriculture. Shortage of protein-based food production and inequitable public distribution provision has also led households grappling with the difficulties in maintaining round the year food availability and proteins in their daily diet with low per-capita calorie intake and less diet diversity directly contributing towards the high prevalence of malnutrition. Finally, the study recommended that action on nutrition-sensitive agricultural interventions have the potential for positive nutritional impacts making households availability of diverse food with nutrient content and food safety. Linking and provisioning of technical knowledge, use of new technologies, and facilities of climate-smart sustainable agriculture practices with shorter duration varieties and organic farming practices would ameliorate nutrition deficiency syndrome. Strengthening community-based institutions and capacity development of women farmers is the need hour that needs to be promoted to make this small-holder farming effort a sustainable drive. The multi-sectoral approach is also a potential solution to address the undernutrition problem through convergence mechanism by multiple interventions in a combination of both the nutrition-speciﬁc and nutrition-sensitive approaches involving multi-agency efforts with a common results framework to accelerate the pace of reduction of malnutrition. At the end both the representatives from CISSD- TARINA had had an ample opportunity to learn from various experiences and practices undergoing in different parts of the globe on food, climate, migration, and vulnerability aspects with a gender perspective inbuilt and tried to create a buy-in for TARINA food systems approach among the participants. This is one of the rarest of rare opportunity where a project based paper was accepted, presented and appreciated.